Storage bins, coolers and tool chests not included. 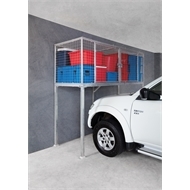 The Above Bonnet Storage Locker offers a sturdy, effective, useful and space saving storage solution. 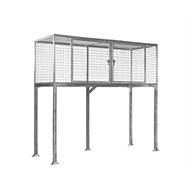 Ideal for overhead storage in all carports, underground car parking and shared spaces. 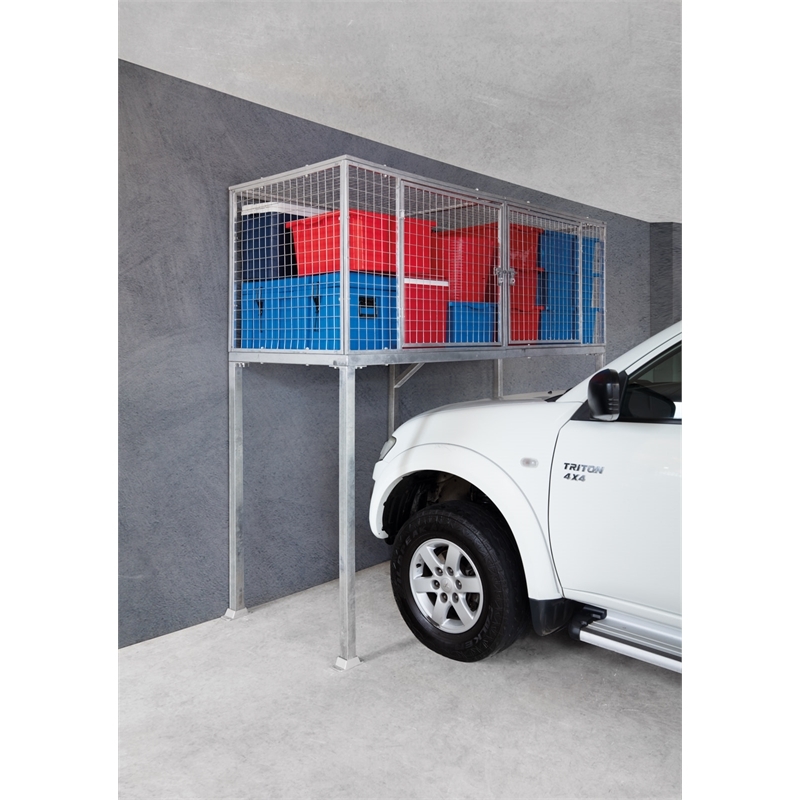 With a clearance of 1.35m to allow for all standard car and ute makes and models to fit underneath. 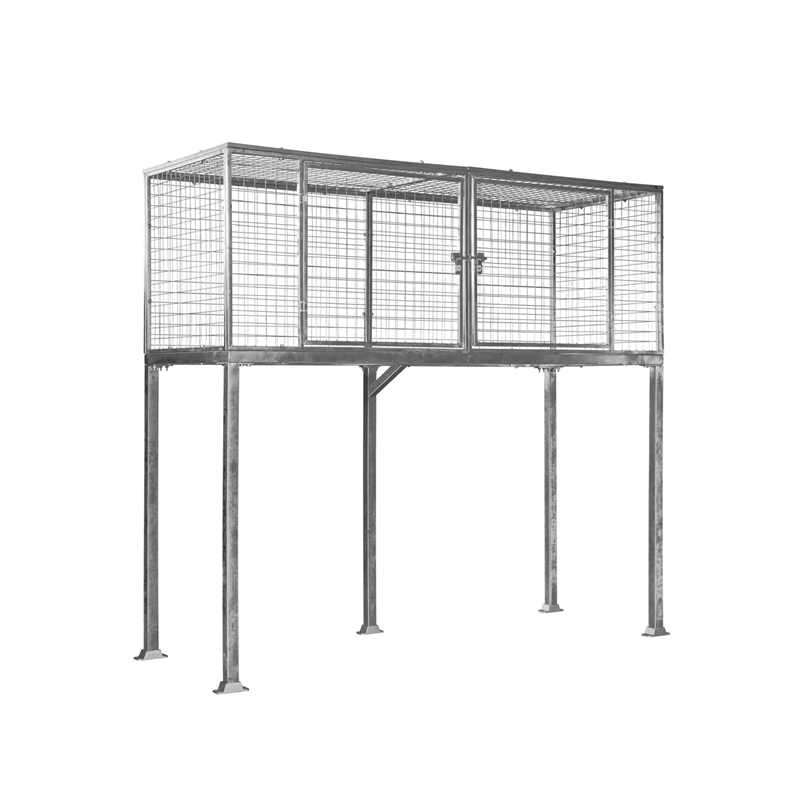 Galvanised finish for long lasting durability and enhanced protection against corrosion. 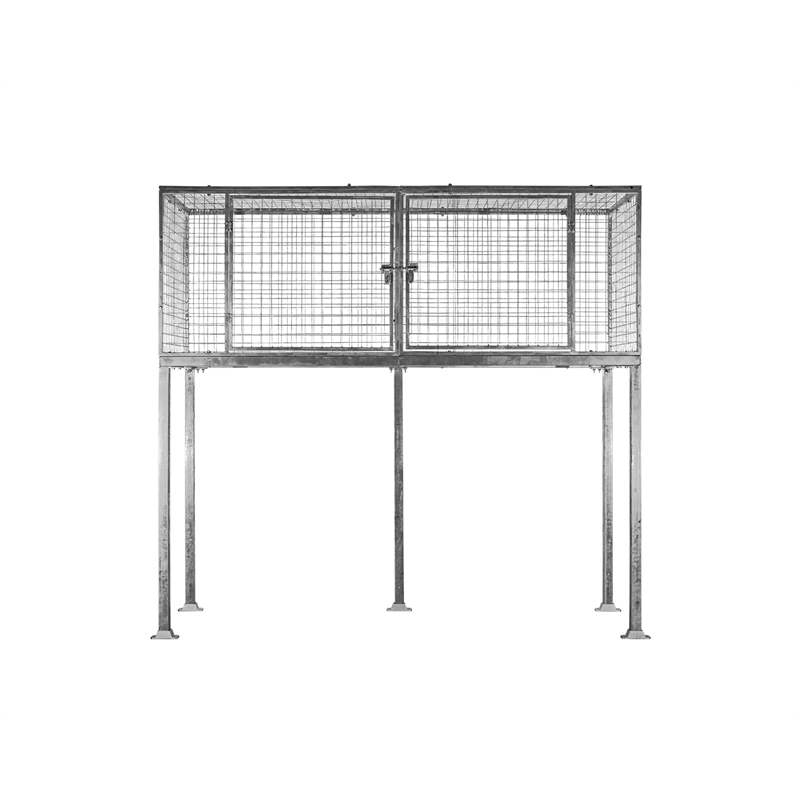 Includes 2 x lockable latches. All hardware and assembly instructions included. 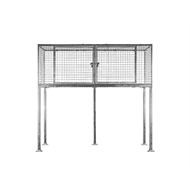 Fix to the ground using flanges included.